FBI Docs Reveal: "Flynn Was Not Lying Or Did Not Think He Was Lying"
The Special Counsel’s Office released key documents related to former National Security Advisor Lt. Gen. Michael Flynn Friday. Robert Mueller’s office had until 3 p.m. to get the documents to Judge Emmet Sullivan, who demanded information Wednesday after bombshell information surfaced in a memorandum submitted by Flynn’s attorney’s that led to serious concerns regarding the FBI’s initial questioning of the retired three-star general. The highly redacted documents included notes from former Deputy Director Andrew McCabe regarding his conversation with Flynn about arranging the interview with the FBI. The initial interview took place at the White House on Jan. 24, 2017. The documents also include the FBI’s “302” report regarding Flynn’s interview with anti-Trump former FBI Agent Peter Strzok and FBI Agent Joe Pientka when they met with him at the White House. It is not, however, the 302 document from the actual January, 2017 interview but an August, 2017 report of Strzok’s recollections of the interview. Flynn’s attorney’s had noted in their memorandum to the courts that the documents revealed that FBI officials made the decision not to provide Flynn with his Miranda Rights, which would’ve have warned him of penalties for making false statements. McCabe, who has since been fired for lying to the DOJ’s Office of Inspector General about leaking information to the media, also asked Flynn not to have his lawyer present during the initial meeting with the FBI agents. The July 2017 report, however, was the interview with Strzok. It described his interview with Flynn but was not the original Flynn interview. Apparent discrepancies within the 302 documents are being questioned by may former senior FBI officials, who state that there are stringent policies in place to ensure that the documents are guarded against tampering. He stressed, “the bureau policy – the absolute FBI policy – is that the notes must be placed in the system in a 1-A file within five days of the interview.” Danik said that the handwritten notes get placed into the FBI Sentinel System, which is the FBI’s main record keeping system. “Anything beyond five business days is a problem, eight months is a disaster,” he added. In the redacted 302 report Strzok and Pientka said they “both had the impression at the time that Flynn was not lying or did not think he was lying.” Information that Flynn was not lying was first published and reported by SaraACarter.com. Flynn was found guilty by Mueller on one count of lying to the FBI. Supporters of Flynn have questioned Mueller’s tactics in getting the retired three-star general to plead guilty to this one count of lying. In the report, the two agents describe Flynn as being very open and noted said Flynn “clearly saw the FBI agents as allies.” Flynn is described as discussing a variety of “subjects.” The report includes his openness regarding Trump’s “knack for interior design,” the hotels he stayed at during his campaign, as well as other issues. 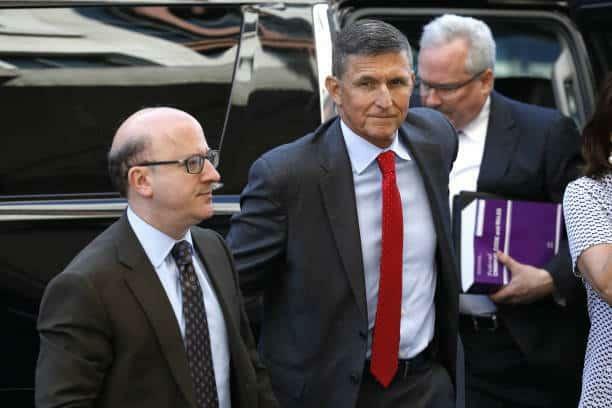 “Flynn was so talkative, and had so much time for them, that Strzok wondered if the national security adviser did not have more important things to do than have a such a relaxed, non-pertinent discussion with them,” it said.